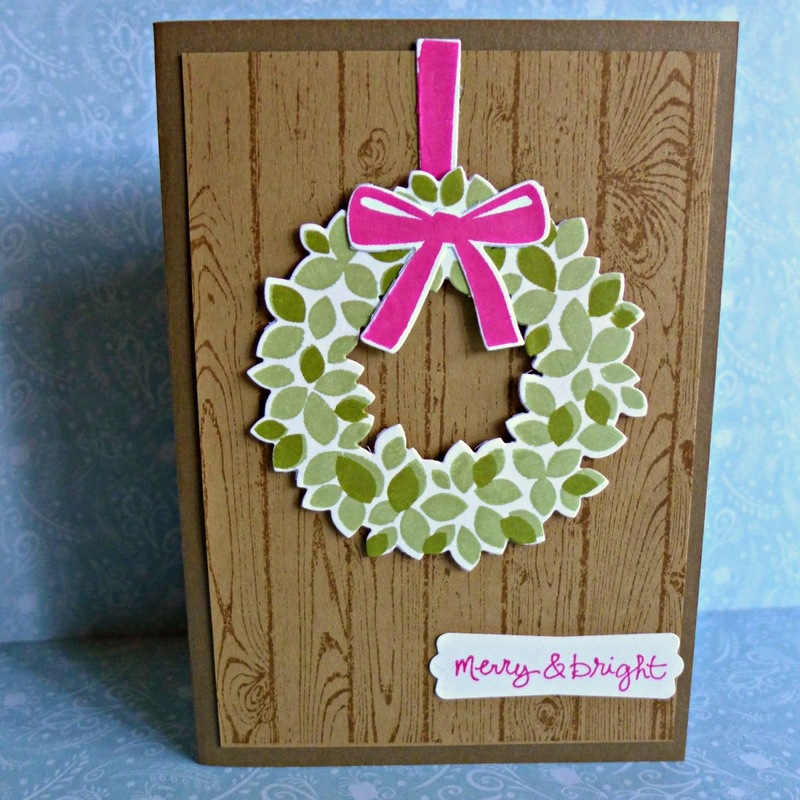 The Wondrous Wreath stamps and Wonderful Wreath Framelits dies are so much fun! I had a great evening with friends stamping out a series of Christmas cards. 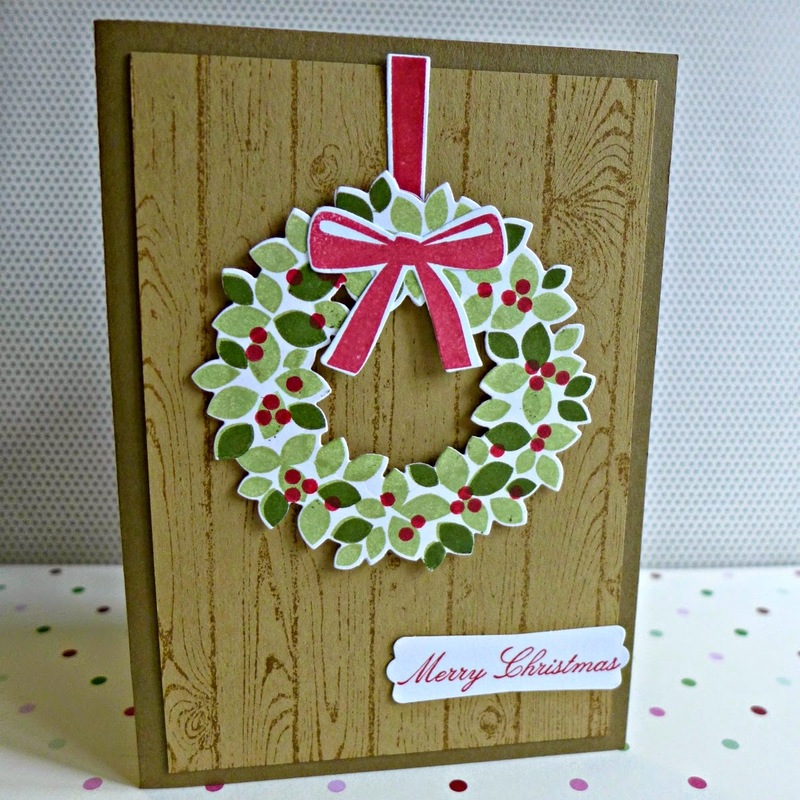 I am loving the Hardwood background stamp, which I bought recently, I'm sure I'll be using this a lot in the new year, too, for all sorts of cards, especially now that I've got the newer larger Stampin' Scrub (at last!) which makes it so much easier to clean the large background stamps! 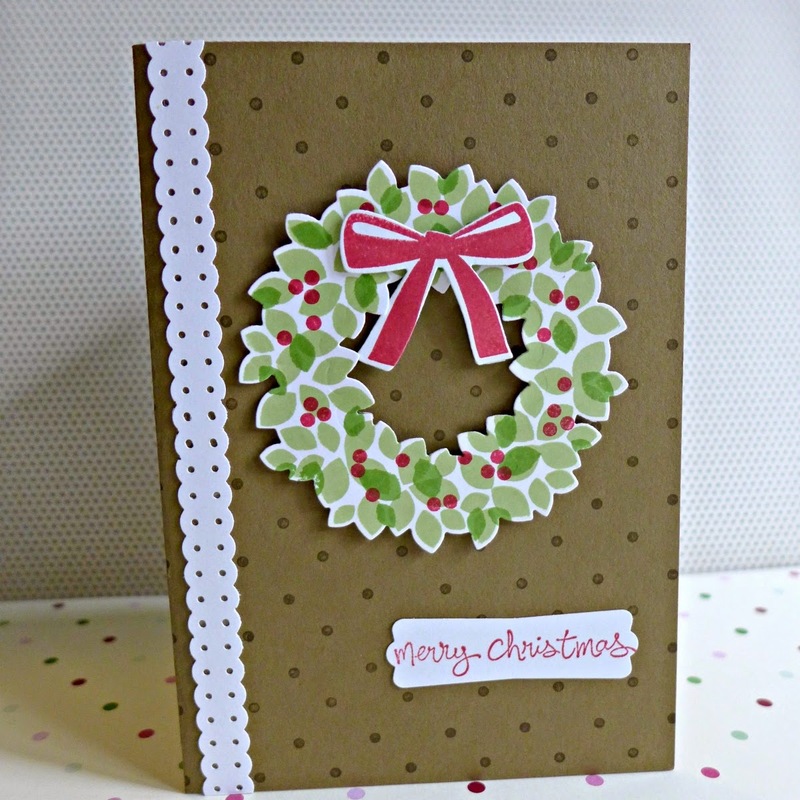 For this card I used the retired Polka Dot background and a retired border punch. And here's a card similar to the first one, using Melon Mambo instead of Real Red. I love the way Soft Suede and Baked Brown Sugar work together on these cards.